Unlike most occupational injuries, there is no visible evidence of noise-induced hearing loss (NIHL). It is not traumatic and often goes unnoticed when it first occurs. Noise-induced hearing loss accumulates over time, its effects realized long after the damage has been done. NIHL is permanent and irreversible. With proper education, motivation and protection, however, it is also 100% preventable. According to the World Health Organization, noise-induced hearing loss is the most common permanent and preventable occupational illness in the world. In the European Union, NIHL is the most commonly reported occupational injury. 20% of EU workers are exposed to hazardous noise half their working time, 10% exposed full time (source: EU OSHA). Howard Leight is committed to providing new motivational and training tools to build an effective Hearing Conservation Programme that works for your employees. Visit howardleight.com to learn more and receive these tools. When is noise considered hazardous? Anytime you must shout at someone an arm’s length away to be heard. Consistent use of properly fitted hearing protection when exposed to hazardous noise. That is the goal of every Hearing Conservation Programme. Noise-induced hearing loss is not solely a workplace issue. It can happen off the job, too. Many employees use power tools, attend loud rock concerts and sporting events, or participate in shooting sports. All are opportunities for exposure to hazardous noise. Prevention is the key, on and off the job. Although there are no visual signs, there are a few simple indicators of NIHL. Identification in its early stages can help prevent further damage. NIHL rarely happens overnight. Rather, it accumulates over time with every unprotected exposure to hazardous noise, usually in both ears. This progression can be detected through healthy hearing practices, including the performance of annual audiograms on all employees in your Hearing Conservation Programme. Audiograms can identify whether your employees are experiencing a degradation in hearing, which indicates permanent damage and requires further preventative action. When hearing impairment begins, the high frequencies are often lost first, which is why people with NIHL often have difficulty hearing high pitched sounds such as human voices, alarms and signals. Compared to other sounds, they will seem muffled or distorted. With normal hearing, conversations are understandable if they are loud enough. When someone suffers from noise-induced hearing loss, simply turning up the volume does not make speech clearer. The clarity is adversely affected regardless of how loud the volume. Those suffering from noise-induced hearing loss will experience tinnitus (ringing in the ears) or muffled hearing. Non-auditory effects of NIHL may include increased stress, high blood pressure, sleep problems and/or headaches. Create a successful Hearing Conservation Programme through best practices. As manufacturing, construction and other industrial endeavors are on the rise in Europe, so are the number of people exposed to harmful levels of noise in the workplace. Over 29% of all employees are exposed to hazardous levels of noise in at least one-quarter of their time in the workplace, and 11% are exposed at all times1 – and these trends are increasing. While noise-induced hearing loss is permanent and irreversible, it is completely preventable. The new European Union Directive 2003/10/EC, aims to prevent employee exposure to harmful noise, while promoting a healthier and more productive workforce. The following outlines the provisions of the Directive, including best practices in implementing a successful Hearing Conservation Programme. Assessment – A noise exposure assessment must be obtained for all employees exposed to 80 dBA LEq. But not every employee must be personally monitored through dosimetry. Representative samples may be taken, if it can be shown that noise exposures are equivalent to other employees in the same area or performing the same task. Professional Service – Noise levels throughout the workplace must be measured through representative sampling by a competent service. Document Changing Conditions – Whenever you make a change in equipment or process, you need to document this change, even if the noise level is reduced. Post a Noise Map – A noise map in common areas is an effective way to notify employees of area noise and related changes. Document Exposure – Each employee’s TWA noise exposure should be recorded in his/her personnel file. Engineering Controls – Apply engineering controls at the noise source or along the noise path to reduce exposures. These controls may include vibration dampeners, absorptive panels, barriers, muffler, or variations in force or drive speed of motors. Maintenance – Perform regular maintenance on machinery to prevent additional noise. Administrative – Implement administrative controls to limit the exposure time for employees. These controls may include rotating employees in noisy areas, providing quiet breaks for noise-exposed employees, or moving processes such as maintenance or cleaning to quieter workshifts. Buy Quiet – Purchase new products or machinery with enhanced noise control. Maintain – Noise is often a machine’s cry for maintenance. Repairs can reduce noise levels. Block or Isolate the Source – Erect barriers, or relocate noisy equipment (or their operators) behind heavy walls. Doubling the distance from a noisy piece of equipment effectively reduces the sound energy by half (about a 3 dB drop in noise level). Schedule Employees – Administrative controls include such actions as giving noise-exposed employees breaks in quiet areas, or rotating employees into noisy jobs for short durations. Voluntary Usage – A variety of hearing protectors must be made available to employees exposed to the Lower Action Level of 80 dBA (8-hour exposure). Mandatory Usage – Employees must utilise hearing protectors when noise exposure meets or exceeds the 85 dBA Upper Action Level (8-hour exposure). Usage – Employer must ensure proper use of hearing protection amongst noise-exposed employees. Offer a True Variety – Make available to all your employees at least one style of single-use, multiple-use, and banded earplugs, and one earmuff. Personal Attenuation Rating (PAR) – Determine employees’ earplug fit effectiveness by using field verification systems, such as VeriPRO™. Find out if they are receiving optimal protection, require additional training on earplug fitting, or need to try a different model. Make HPDs Convenient – Increase accessibility to hearing protection by installing earplug dispensers near time clock or by placing earmuffs at supervisor stations. Audiometry – Preventive audiometric testing must be made available to employees whose exposure exceeds the lower exposure action levels. Recordkeeping – Employer is responsible for maintaining up-to-date health surveillance records. Access – Employees have access to health surveillance records upon request. Retain Records – This will help your audiologist compare audiograms serially over time. Get Follow-Up Reports – Ensure that your testing service provides understandable follow-up reports. Review Results Immediately – Studies show that reviewing audiometric test results with employees right after testing yields a more positive impact. Training – Employees must receive information on risks of noise exposure, methods of avoiding/reducing exposure, exposure limits/values per Directive, assessment/measurement of noise, proper use of hearing protectors, detecting/reporting signs of noise exposure, circumstances of health surveillance, and safe working practice to avoid noise exposure. Provide One-on-One Training – This individualized attention will make for a more memorable training experience. Offer Ongoing Education – Distribute informational flyers and hang motivational posters in common areas and near hearing protection sources. Offer “toolbox” trainings throughout the year. Participation – Employees can actively participate in the decisions affecting their hearing health. Teamwork – Assembling a cross-departmental team for your Hearing Conservation programme can enhance support, provide input and help implementation in a variety of areas. Include staff from safety and health, employees in your hearing conservation program, medical personnel, purchasing, human resources and senior management. Employees are generally unaware of the potentially harmful noise levels they are exposed to every day — both on the job and off. The Howard Leight® Noise Thermometer is a highly effective visual tool that helps employees understand noise risks in everyday activities and European hearing protection requirements. Content kindly provided by HSE Solutions. Modern physics has accustomed us to strange and counterintuitive notions of reality—especially quantum physics which is famous for leaving physical objects in strange states of superposition. For example, Schrödinger’s cat, who finds itself unable to decide if it is dead or alive. Sometimes however quantum mechanics is more decisive and even destructive. Symmetries are the holy grail for physicists. Symmetry means that one can transform an object in a certain way that leaves it invariant. For example, a round ball can be rotated by an arbitrary angle, but always looks the same. Physicists say it is symmetric under rotations. Once the symmetry of a physical system is identified it’s often possible to predict its dynamics. For most of their history, these quantum anomalies were confined to the world of elementary particle physics explored in huge accelerator laboratories such as Large Hadron Collider at CERN in Switzerland. Now however, a new type of materials, the so-called Weyl semimetals, similar to 3-D graphene, allow us to put the symmetry destructing quantum anomaly to work in everyday phenomena, such as the creation of electric current. In these exotic materials electrons effectively behave in the very same way as the elementary particles studied in high energy accelerators. These particles have the strange property that they cannot be at rest—they have to move with a constant speed at all times. They also have another property called spin. It is like a tiny magnet attached to the particles and they come in two species. The spin can either point in the direction of motion or in the opposite direction. When one speaks of right- and left-handed particles this property is called chirality. Normally the two different species of particles, identical except for their chirality (handedness), would come with separate symmetries attached to them and their numbers would be separately conserved. However, a quantum anomaly can destroy their peaceful coexistence and changes a left-handed particle into a right-handed one or vice-versa. Appearing in a paper published today in Nature, an international team of physicists, material scientists and string theoreticians, have observed such a material, an effect of a most exotic quantum anomaly that hitherto was thought to be triggered only by the curvature of space-time as described by Einstein’s theory of relativity. But to the surprise of the team, they discovered it also exists on Earth in the properties of solid state physics, which much of the computing industry is based on, spanning from tiny transistors to cloud data centers. 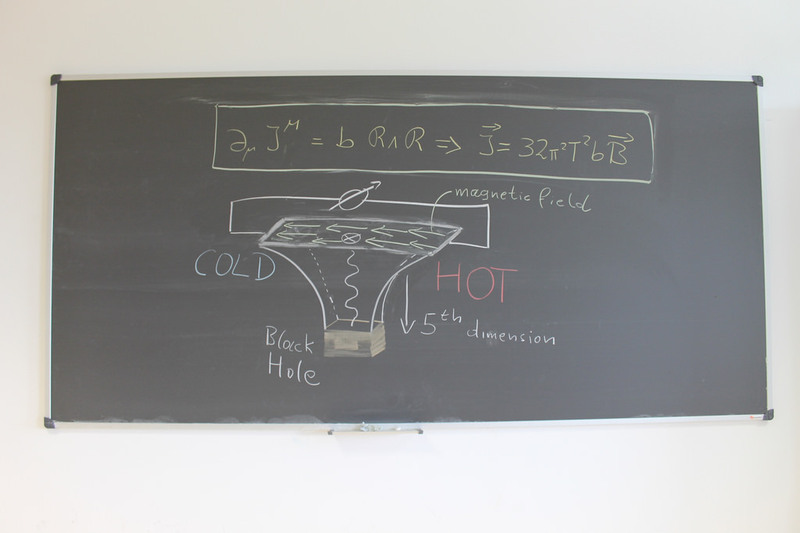 New calculations, using in part the methods of string theory, showed that this gravitational anomaly is also responsible for producing a current if the material is heated up at the same time a magnetic field is applied. “This is an incredibly exciting discovery. We can clearly conclude that the same breaking of symmetry can be observed in any physical system, whether it occurred at the beginning of the universe or is happening today, right here on Earth,” said Prof. Dr. Karl Landsteiner, a string theorist at the Instituto de Fisica Teorica UAM/CSIC and co-author of the paper. IBM scientists predict this discovery will open up a rush of new developments around sensors, switches and thermoelectric coolers or energy-harvesting devices, for improved power consumption. 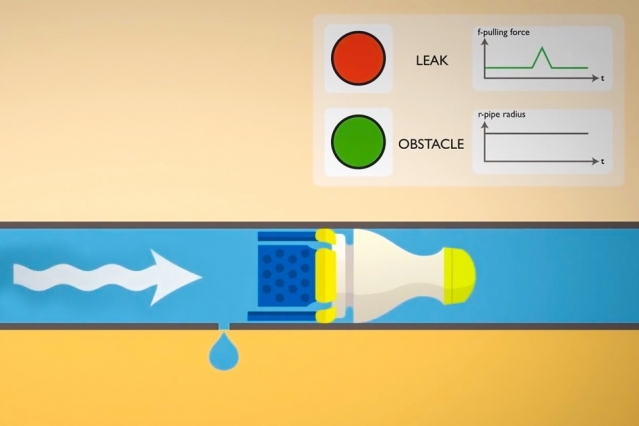 Unfortunately, leak detection systems are expensive and slow to operate—and they don’t work well in systems that use wood, clay, or plastic pipes, which account for the majority of systems in the developing world. The next step for the team, after the field tests in Monterrey, is to make a more flexible, collapsible version of their robot that can quickly adapt itself to pipes of different diameters. Under the steets of Boston, for example, there are a mix of 6-, 8- and 12-inch pipes to navigate—many of them installed so long ago that the city doesn’t even have accurate maps of their locations. The robot would expand “like an umbrella,” Wu says, to adapt to each pipe. But truth is that with the advancement of technology, machinery and rock mechanics, nowadays, Coal mines are mostly Open -Pit Type (Surface mines). But Underground coal mines also exist in large numbers but due to heavy mechanisation, the method of working and working conditions have changed extremely. Underground mines too now have heavy mechanization, good working conditions like safety, temperature, ventilation etc. – A miner from a well mecanised mine. So, the conclusion is that in new and modernized mines the working conditions are upto mark. Even if the work is somewhat dangerous and boring but it is doable. But still their exist some old mines where you’ll find that it is very hard to work for the miners as well as the engineers and geologists etc. In these mines, every thing is handled by human labour hence making it more difficult. “The actual working area is like a crawl space in a house. The average height is about 40 inches. So you’re going to crawl. When you’re bent, you can’t use your legs as much. You have to rely on your arms and back. To pick up 25 pounds standing upright is easy for most people. When you’re bent over on your knees, it becomes much harder. The average coal miner works 60 hours a week. That’s standard. Most coal miners work 10-hour shifts, 6 days a week. Everything is intensified in the mines. You’re in a foreign atmosphere. Deep underground the air is different. The oxygen goes down. The temperature on average is in the 50s, but you still sweat an enormous amount when you start laboring.“ – Alan Bates, working in the coal mines of Letcher County, Kentucky. But with more mechanisation we hope these mines will also improve in coming times. And it also depends on the type of job. If you are miner, it’ll be pretty hard compared to an machine/haulage truck operator which in turn is inferior to the Engineers. And when will work in coal you hands will surely get dirty.